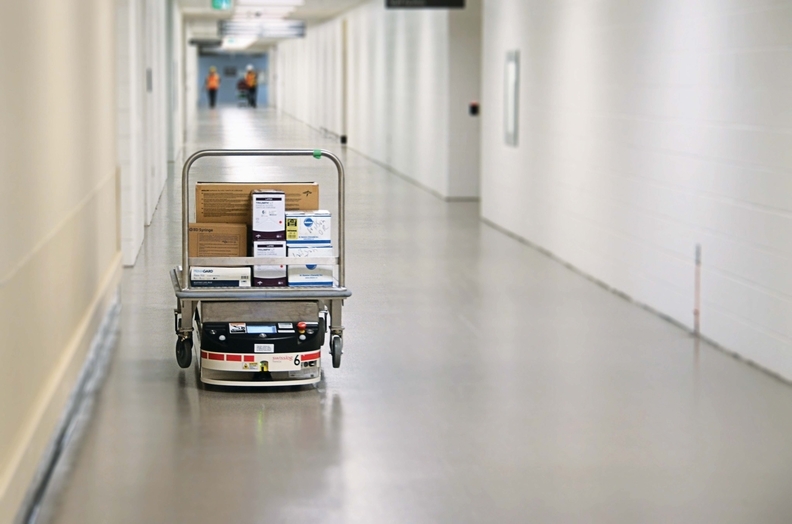 Automated guide vehicles distribute medication, linens, food and other supplies throughout Humber River Hospital. The digital experience at Humber River Hospital in northwest Toronto begins the moment patients arrive. The sleek, square building feels like a small airport, with each registration area designated with a letter. 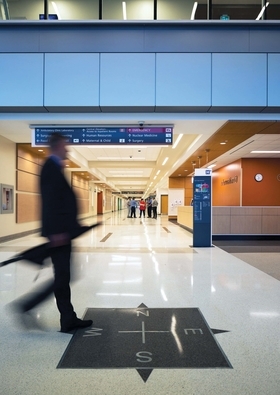 Before arriving, patients look online to find out their check-in zone. Humber River is North America's first all-digital hospital. Inside its corridors, there are robots sorting medication. Automated guided vehicles deliver lunch trays. 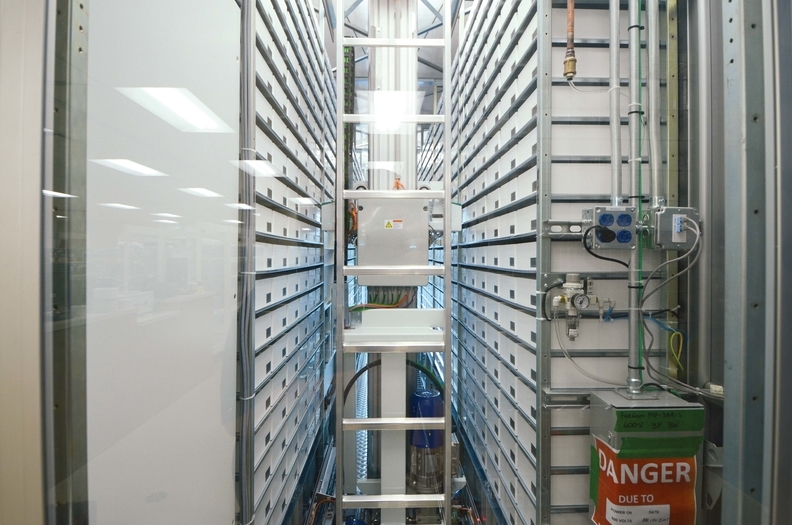 Machines deliver the pneumatic tubes that carry blood samples from patient floors to the laboratory. Patients and staff wear real-time locating devices. For staff, the technology eliminates the need for overhead paging systems and allows the closest available person to respond to an issue. Family members can track loved ones as they move from surgery to recovery. In a central dispatch area—the equivalent of Humber River's control tower—a small team of information technology specialists and engineers hover over video monitors and computer screens watching for any hiccups. Healthcare delivery is in the midst of a huge transformation—from facility design and staff and clinician training to bedside monitoring. But it's not just automation and information flow inside the hospital. The changes are also moving into patient homes, which are becoming the equivalent of satellite care units where nurses can monitor people around the clock. Humber River opened its new hospital in October, and its full-scale digital transformation is far ahead of other acute-care hospitals. While many hospitals have been eager to adopt and invest in new technologies, they're still moving forward piece by piece. Meeting patient expectations is the next frontier for hospitals on the front lines of implementing digital technologies as they look to extend their physicians' reach into patients' homes and communities. Often, tight budgets are the limiting factor. Not only does the equipment cost a lot of money, but training staff to make best use of the new systems takes valuable time away from clinical duties. Other considerations that can influence how fast hospitals innovate include the competitive landscape and whether they feel pressure to compete on patient experience. Having local insurers willing to pay for innovation also can move the market. Yet the movement toward full-scale digitization is being encouraged by the promise of better financial performance. Many of the new technologies on the market are demonstrating a positive return on investment, Cramer said. That has the paradoxical effect of making it harder for finance departments to decide where to deploy funds. Some of the easiest investments to justify are the ones behind the scenes, which can have immediate and measurable cost savings and patient-safety benefits. Hospitals are moving fastest on automating pharmacies, laboratories and supply chains, rather than remote patient monitoring and virtual care. Hospitals are primarily focused on “automating the mundane,” Shaikh said. But they lag in creating a digital experience for patients. For instance, it's still hard for people to get medical care on their own schedule, outside of urgent or emergency care. And there are missed opportunities to interact with patients before they even arrive at the hospital. At Humber River, the all-digital hospital has moved well beyond electronic health records or telemedicine to create a seamless, paperless connected experience for patients, staff and clinicians. Even Humber River, which has automated about 75% of its back-of-the-hospital functions—such as pharmacy, laundry and food delivery—acknowledged that it is still at the beginning of its digital evolution. “We're not even close,” Devlin said. The frontier for hospitals moving to an all-digital future is technology that makes healthcare more accessible for patients and more efficient, where doctor-patient interactions extend well beyond the confines of a 10-minute appointment. At the University of Southern California's Keck Medicine system, for instance, virtual doctors are being designed to help guide patients through complex medical decisions. The academic medical center launched its Virtual Care Center this year and will begin pilots with patients this summer, with a broader rollout by year-end. USC's Roski Eye Institute will be among the first specialty centers to incorporate virtual reality into patient care. 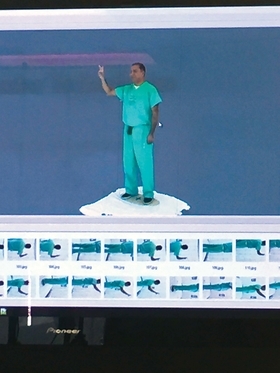 The technology allows people to interact with a simulation of a USC specialist. In between seeing his own patients, Dr. Rohit Varma, who chairs the ophthalmology department, spends time being “virtualized,” with lifelike models created in his image. The technology is similar to Siri on an iPhone. It can recognize key parts of a question and provide information. But it also can be personalized for individual patients. Many health systems are moving to a hub-and-spoke delivery model, where high-acuity services are offered at a tertiary-care facility in the city center and outpatient and specialty centers serve the everyday needs of suburban residents. Virtual reality can reinforce that strategy by making it easier for patients to get expert opinions without traveling downtown. And they can do so when it's convenient. Doctors, too, can now be in multiple places at once. The technology allows them to automate some patient interactions, such as responding to questions about complications and side effects. The Box Picker in the pharmacy tracks medication inventory and expiration dates. Virtual reality also has applications in remote areas of the U.S. or world where patients might not be able to have a live interaction with a specialist. Using the technology, they can still tap into the specialist's expertise when they have questions. “This is in essence flattening the provision of expert medicine around the world,” Varma said. Memorial Sloan Kettering Cancer Center's new short-stay facility in New York City, the Josie Robertson Surgery Center, which opened in January, features some of the latest communication and patient-monitoring technology. But what makes it different is its ability to create a digital path of how patients recover after a procedure. The monitoring continues even after patients leave the facility. In the next few months, Sloan Kettering will roll out an app that will allow patients to send secure texts, including pictures, to their providers as well as fill out a daily electronic symptom survey. Clinicians can use the data to call patients who might be at risk of an adverse event. Hospitals that have adopted remote-monitoring devices are already seeing a return on investment. Englewood, Colo.-based Centura Health, which uses remote patient-monitoring equipment such as scales, blood-pressure cuffs and pulse oximeters with patients at its Colorado and Kansas facilities, saw its readmission rate plunge into the single digits after implementing the program. In between seeing his own patients, Dr. Rohit Varma spends time being “virtualized,” with lifelike models created in his image. Some commercial insurers and Medicare Advantage plans are adopting their own remote-monitoring programs but haven't been willing to pay for provider initiatives. That means systems are balancing what they can and want to do with what they currently get paid to do. “It's a barrier to getting there,” Lippolis said. Humber River's story began with the merger of three community hospitals in 1997 and its subsequent move to combine the campuses under one roof. Its new facility doubled its footprint to 1.8 million square feet. But with labor already making up 70% of its costs, it decided to add technology, rather than increase its head count. It's too early to calculate the return on Humber River's $1.8 billion investment. Patient volume has increased and it projects savings from increased energy efficiency. The next stage of Humber River's digital journey will be to connect with patients in their homes, with the goal of reducing readmissions. But in building its digital capabilities, it wanted to make sure that it didn't lose the human element. It has hundreds of volunteers trained to help patients navigate the technology, like their bedside communication and entertainment portals. On these sophisticated tablet-like portals, patients can connect with family members via Skype. But Humber River also made a number of low-tech improvements in the new facility, such as adding pullout couches so guests can stay overnight. “We want a patient experience, not a digital experience,” Devlin said.